2018 in Israel is offering jet-setters a lot to look forward to with stunning new hotels opening across the country. 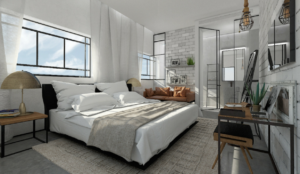 Several boutique hotels are popping up in Tel Aviv, and a desert spa will open its doors for enjoying sunsets over the Arava Valley. Located in the heart of the ancient port city of Jaffa, stepping inside is like walking into another era. The building has kept its original Ottoman-era stone work and features, dating back to the Crusader period. It is truly incredible. Stunnng stone and marble corridors connect the property’s five buildings, featuring 120 luxury rooms. Other facilities include an infinity rooftop pool overlooking the Tel Aviv skyline. Tel Aviv’s Rothschild Boulevard is a must-see for visitors. Several boutique hotels have popped up along the iconic tree-lined street recently. The Vera, opening this winter, is the latest on the block. 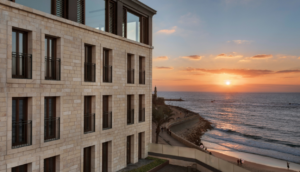 The hotel aims to expose its guests to Israel’s unique vibe. The hotel bar will offer freshly infused interesting cocktails by its in house mixologists. 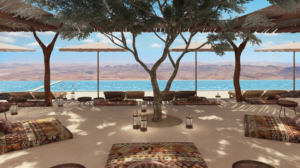 The Six Senses Shaharut is scheduled to open in late 2018. 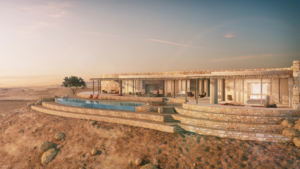 Nestled in the Arava valley in the Negev, it will have a focus on sustainability and wellness, with 58 suites and villas, each with their own private pools, are designed to blend in with the desert and preserve the terrain. Fresh ingredients will to be grown and picked from the resort’s own gardens. At the Six Senses Spa, guests can practice yoga with desert views and receive innovative spa treatments, and nutritional advice. Other facilities include morning and twilight camel rides, an open-air amphitheater beneath the stars, and a tented Bedouin dining experience.